Amateur A young basketball player struggles to fit in with his new team. Split A man once called a bowling legend teams up with a bookie and an autistic genius bowling player. Dirt In search of a lifeline for his struggling off road racing team, a man takes on a young car thief looking for a second chance, but as their worlds collide, they must struggle to forge a successful alliance. I, Tonya Competitive ice skater Tonya Harding rises amongst the ranks at the U.S. Figure Skating Championships, but her future in the activity is thrown into doubt when her ex-husband intervenes. Borg vs McEnroe The story of the 1980s tennis rivalry between the placid Björn Borg and the volatile John McEnroe. 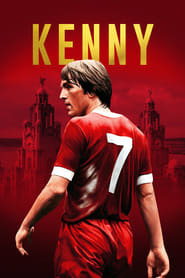 Kenny An intimate and revealing portrait of Kenny Dalglish - the player, the man, the truth. Born To Sweat Sebagai sosok yang pantang menyerah, kegagalan bukan menjadi alasan bagi @barrakumbara untuk bangkit dan meraih prestasi. Di tengah menjalani program latihan, Melanie Putria mengalami sebuah hambatan yang menghalanginya menjalani proses latihan. Apa hambatan yang dialami Melanie kali ini? Saki Story follows high school student Saki Miyanaga (Minami Hamabe) and her classmates as they become absorbed in the game of mahjong. They target an upcoming national competition. On Wings of Eagles Eric Liddell - China's first gold medalist and one of Scotland's greatest athletes - returns to war-torn China. Kuroko no Basket: Last Game The Generation of Miracles, including Kagami and Kuroko, form Team Vorpal Swords to challenge Team Jabberwock to a revenge match after the latter disparaged all Japanese basketballers as monkeys. Lucky Trouble A school teacher from a small Russian town falls for a beautiful Moscow woman who is engaged to be married. Ta Ra Rum Pum Ace car racer RV and his wife have the world at their feet. But he has an accident and his world is turned upside down. Can he reclaim his lost glory? Dil Bole Hadippa! In a village where girls don't play cricket, Veera puts on a turban and beard and becomes Veer to fulfill her dreams and meets Rohan. And fun begins. Goon: Last of the Enforcers A hockey player plagued by injuries is confronted with the possibility of retirement when a tough new player challenges his status as the league's top enforcer. Williams Focusing on the career and family of its legendary founder Sir Frank Williams, the British sports documentary tells the extraordinary story of the Williams Formula 1 team, from its inception to the present day. American Wrestler: The Wizard In 1980, a teenage boy escapes the unrest in Iran only to face more hostility in America, due to the hostage crisis. Determined to fit in, he joins the school's floundering wrestling team. Azhar Biographical sports drama based on the life of former Indian international cricketer, Mohammad Azharuddin. The Greatest Game Ever Played In the 1913 US Open, 20-year-old Francis Ouimet played against his idol, 1900 US Open champion, Englishman Harry Vardon. My Name Is Lenny The life story of one of Britain's most notorious bare-knuckle fighters, Lenny McLean, also known as "the Guv'nor." Jawbone Former youth boxing champion Jimmy McCabe, after hitting rock bottom, returns to his childhood boxing club and his old team, gym owner Bill and corner-man Eddie. Tracktown A bright, talented and lonely long-distance runner twists her ankle as she prepares for the Olympic Trials and must do something she's never done before: take a day off. Greater Greater – The story of Brandon Burlsworth, possibly the greatest walk-on in the history of college football. Moneyball The story of Oakland Athletics general manager Billy Beane's successful attempt to put together a baseball team on a budget, by employing computer-generated analysis to draft his players. My All American Freddie Steinmark, an underdog on the gridiron, faces the toughest challenge of his life after leading his team to a championship season. Bleed for This The inspirational story of World Champion Boxer Vinny Pazienza, who after a near fatal car crash, which left him not knowing if he'd ever walk again, made one of sports most incredible comebacks. Queen of Katwe A young girl overcomes her disadvantaged upbringing in the slums of Uganda to become a Chess master. Dirty Old Wedge The Wedge, located at the end of the Balboa Peninsula in Newport Beach, California, is a world famous, man-made beast of a wave. Seabiscuit True story of the undersized Depression-era racehorse whose victories lifted not only the spirits of the team behind it but also those of their nation.